The latest flightbow I did some month ago. I called it “The Queen”. Flightbows are always a great possibility for to test the limits of designs and woods, flightbows are somehow a kind of Formula 1, an exercise area for bowyers. “The Queen” is such an overwhelming exercise for me, so I decided to give it a try as a longer version, thought to be drawn to 28″. It measures up my expectations at all points: great design and performance. 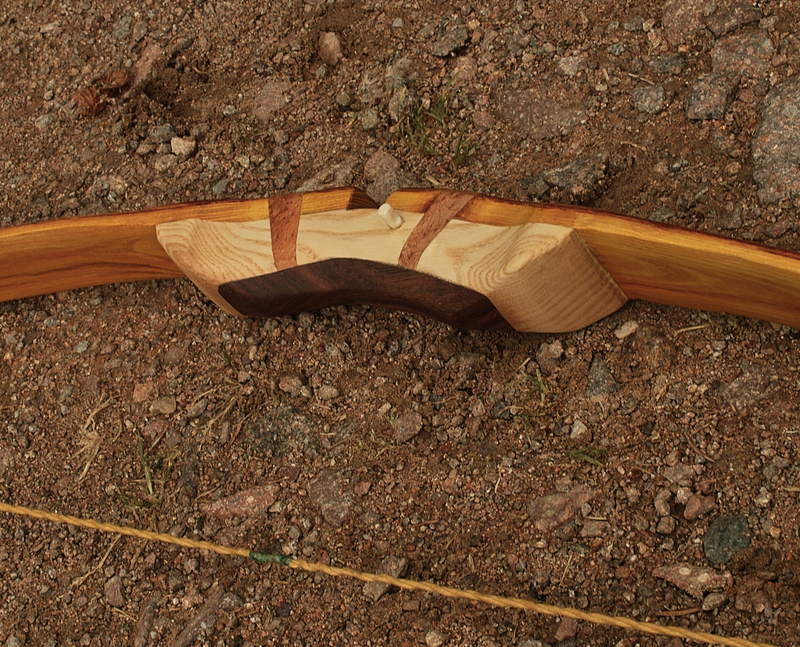 It ended up in one of the best bows, I´ve ever done, maybe the best bow I was ever able to do. Comparing “The Queen” and its brother. Pyramid shape of the queen’s limbs and the much more parallel limbs of its brother ending up in different tillering shapes, as shown in the following pic. “The Queen” bending much more in the outer limbs, while its brothers limbs bending much more circular. “The Brother” drawn at 16″. Cause of the length and the shape of the limbs the draw is very smooth. 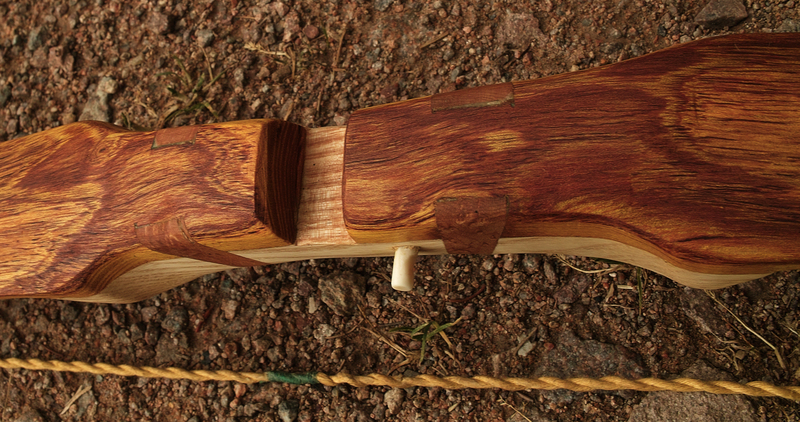 Backview, I left a little bit of the sapwood for to give the back a flaming look: this bow is burning. Sorry, I didn’ t have the time to do the chronos seriously, cause the bow was sold as soon as tillering was finished. A guy who dropped into my workshop, saw the bow drawn in the tiller- board and wanted to buy it at once. Chronos with a 290grs. 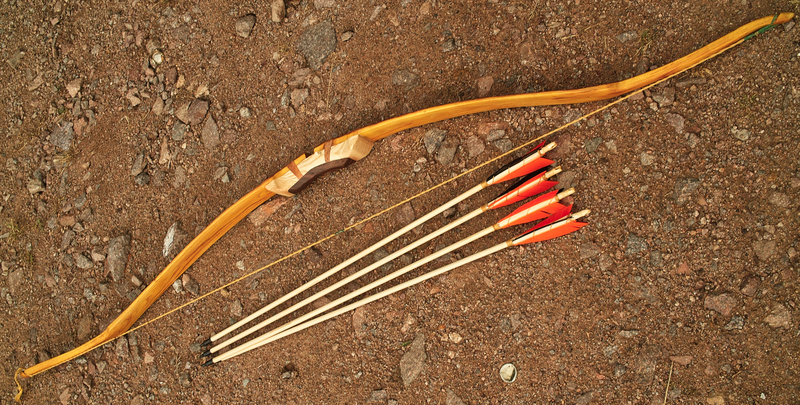 arrow, 5/16″ and 26″ in length tell a 187f/s speed. I’ m such crazy about this bow, I should resist every other design. I’ ll do the same bow very soon and post a making of.